Gone are the days when brands only had traditional outbound marketing methods, such as TV ads and billboards, to promote their products. Now there is incredible momentum around inbound marketing, which uses the power of the Internet and social media to earn consumer interest instead of buying it. Since this valuable attention no longer needs to be bought, inbound marketing ends up costing less and generating more ROI than traditional tactics, which makes it even more appealing to advertisers. The appeal for consumers lies in the less-intrusive nature, the added value of engaging content, and the empowering two-way dialogue that inspires long-term loyalty. 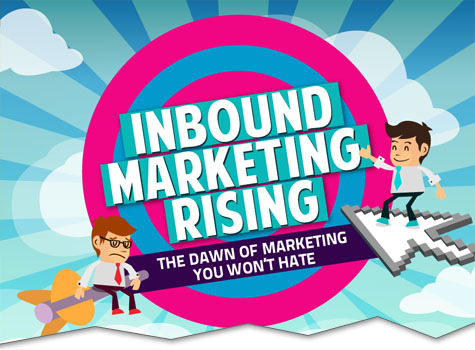 For a closer look at why inbound is bound for greatness, Voltierdigital.com created a fascinating infographic, which Mashable.com recently featured as a model of modern marketing. Learn about the Value of Infographics and contact MDG Advertising today to create an inbound marketing strategy for your brand. Check out and share MDG’s Infographics: Shifting Ground: The Changing Scope Of Advertising, Where Is Inbound Marketing Headed?, Local Search Evolved and The ROI of Social Media.